The scintillating music of Berlioz’s Romeo and Juliet and a beloved Mozart piano concerto will be on display Saturday, March 12, as the Asheville Symphony presents its fifth Masterworks concert of the season. The concert, under the direction of Music Director Daniel Meyer, will begin at 8 p.m. in Thomas Wolfe Auditorium. Shen Lu, Cleveland Institute of Music student and Hilton Head International Piano Competition winner, joins the ASO for Mozart’s Piano Concerto No. 21, one of the most well-known and best-loved piano concertos. Lu also won First Prize in the Hong Kong Open Piano Competition. 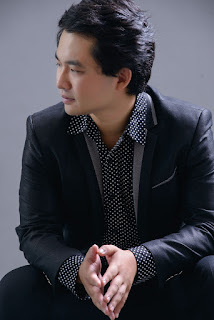 He has appeared as guest soloist with the Cleveland Institute of Music Orchestra, Hilton Head Symphony Orchestra, Orlando Philharmonic Orchestra and New England Conservatory Philharmonic Orchestra. His performance with the Central Conservatory of Music Youth Orchestra was broadcast on CCTV, the largest national television network in China. The program will open with two works by Edward Elgar, Chanson de matin and Chanson de nuit. Single tickets for all concerts are $22 – $62 depending on seating section; reduced youth pricing is available. Single tickets and season ticket packages can be purchased at www.ashevillesymphony.org, by calling 828-254-7046, or in person at the U.S. Cellular Center box office at 87 Haywood Street. The Asheville Symphony Orchestra performs and promotes symphonic music for the benefit, enjoyment and education of the people of Western North Carolina. The ASO presents concerts in the Thomas Wolfe Auditorium in Asheville’s U.S. Cellular Center. Related organizations include the Asheville Symphony Guild, Asheville Symphony Chorus, Asheville Symphonettes, and education initiatives such as the Asheville Buncombe Youth Orchestra, Music in the Schools, MusicWorks!, Spotlight on Young Musicians, Symphony Talk and pre-concert lectures. March 12, 2016 • 8 p.m. Nationally renowned keynote speakers and authors, Donna Cutting and Meridith Elliott Powell, are launching new books in 2016. To celebrate their upcoming publications, the authors have organized a book launch event and the public is invited. Join the authors for an evening of energetic presentations, food, and surprises. The authors will be giving excerpts from their keynote speeches as well as signing their books. Additionally, staff from Malaprops will be on hand so attendees can purchase copies from an Asheville Independent bookstore. Donna Cutting is the author of two books, including the recently released, 501 Ways to Roll Out the Red Carpet for Your Customers: Easy-to-Implement Ideas to Inspire Loyalty, Get New Customers, and Leave a Lasting Impression. In her book, Cutting provides the reader with 501 actionable tactics and idea, for providing exceptional customer service, as well as organizational strategies for hiring, onboarding, and training staff. Meridith Elliott Powell is the author of several books, including the forthcoming Own It: Redefining Responsibility. The Story of Power, Freedom and Purpose. In her book, Powell provides the reader with insightful and innovative strategies to one of businesses most pressing challenges – employee engagement. Own it: Redefining Responsibility contains valuable information about the strains of today’s economy, the importance of employee-management relationships, and how to take charge of your success. Rock Eblen and with music direction by Sarah Fowler, the musical will open Friday, March 11 and run through Sunday, March 27, 2016 with performances Friday and Saturday nights at 7:30 pm and Sunday afternoons at 2:30 pm. Tickets are available online, over the phone, or in person at the Asheville Community Theatre Box Office. All tickets are $20. This intriguing rock musical is about Diana, a mother who struggles with worsening bipolar disorder and the effect that her illness and the attempts to alleviate it have on her family. It also addresses such issues as grieving a loss, suicide, drug abuse, ethics in modern psychiatry, and the underbelly of suburban life. Bioflyer Productions will present the show with a live band at the intimate 40 seat theater known as 35below, the intimate black box theatre beneath Asheville Community Theatre, 35 East Walnut St. in downtown Asheville. Leading roles feature Asheville veteran performers Beverly Todd as Diana and Daniel Hensley as Diana’s husband Dan. They are joined onstage by Isaac Fulk, Lilly Mills, Dylan Henley, and Archer Faust. For more information about Bioflyer Productions and Next to Normal, visit https://bioflyer.wordpress.com/bioflyer/next-to-normal/. For tickets or information about Asheville Community Theatre, please visit www.ashevilletheatre.org.